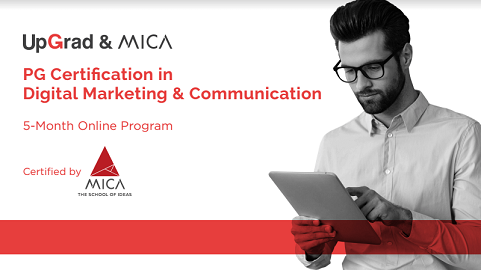 MICA stands for Mudra Institute of Communications, Ahmedabad. Offers the Post Graduate Diploma in Management-Communications (PGDM-C), Crafting Creative Communication (CCC) and Fellow Programme in Management-Communications (FPM-C). Kindly update your score options in the online application form which you would like to submit (i.e. CAT 2018, XAT 2019 & GMAT 2017 onwards). After receiving your CAT score, XAT Registration No. and GMAT score, please update the details on our website on or before 30th January 2019. (please mention your XAT Registration no. only and we will collect the score from XLRI). MICAT Application Fee is Rs. 1985. Create a demand draft (DD) of the test fees from any Bank in favour of MICA payable at Ahmedabad through BLUE DART courier along with Payment Advice Form to be filled and signed by the candidates. Candidates appearing in final year of Graduation can also apply subject to submission of proof of requisite qualification. The maximum intake for PGDM-C is 180 students. (It is likely to be substantially increased). MICAT 2017 exam was of 2 hours 45 Minutes duration. In this section, candidates should prepare the following topics. In this section, candidates are evaluated on their knowledge of GK and current affairs. Candidates should be well-acquainted with the current affairs of last one year or six months. The questions are mainly asked from the following topics. This section comprises questions that are designed to assess the problem-solving approach of the candidates. Questions will be both from verbal and non-verbal reasoning. The questions are based on the below-mentioned topics. These tests assess analytical, writing ability and creative skills of candidates. In Descriptive test questions will be based on pictures where candidates have to combine those and write a story out of it. Candidates will also get questions on letter writing. Stay tuned to Career2NextOrbit for more news and updates on CAT.